Yep you read that right. 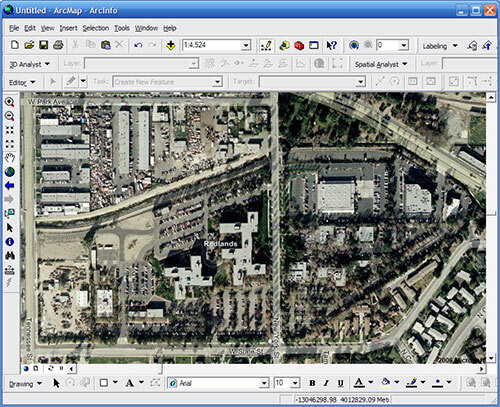 The latest Arc2Earth version has a new toolbar called Map Tile Layer which allows you to download into ArcMap Microsoft Virtual Earth, Yahoo Maps and Ask Map tiles. So you can now choose Aerial/Hybrid/Streets for each of these services (NASA World Wind and Terraserver will be added at a later date). I’ve been testing it over the past couple days I’m I’m impressed. 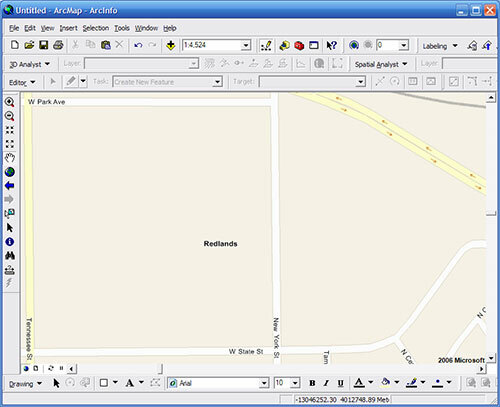 You can even cache the tiles locally and use them when you are “off the grid”. I’m looking forward for Google support so when I export my KMLs I can make sure they line up with the Google aerials in Google Earth. 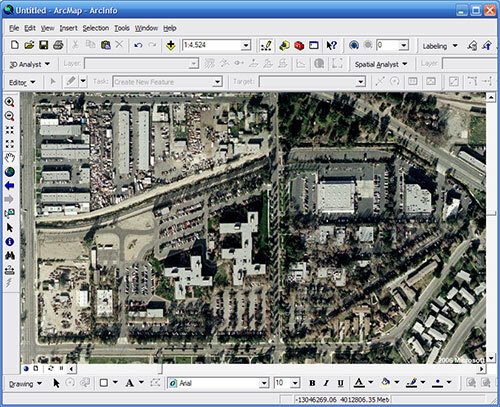 I’ve posted some screen shots of the ESRI campus in Redlands below from inside ArcMap.